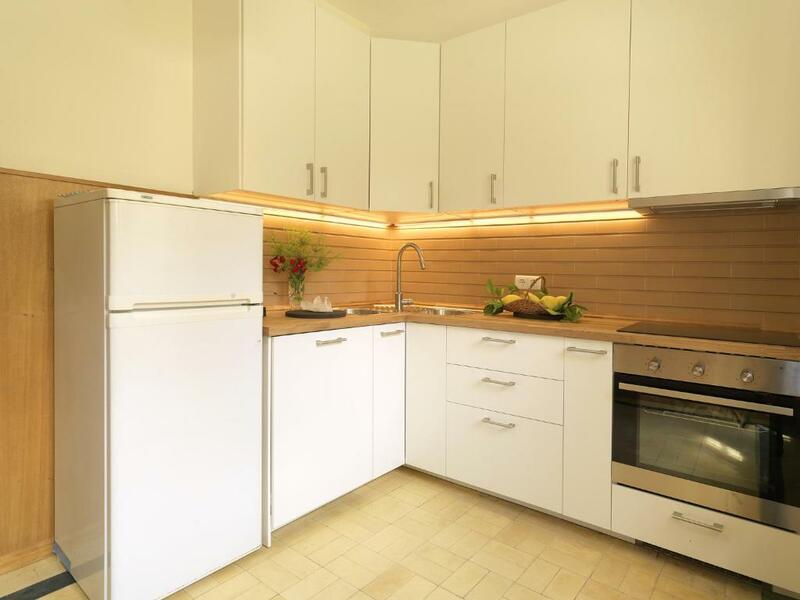 Garden, living room, 2 bedrooms located to garden view. Great house for a group of friends like us. Beds were comfy, kitchen stocked and garden was great. 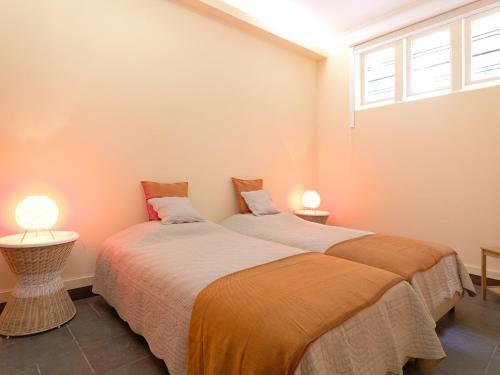 Kamers waren prima en de locatie was top en het ontvangst bij feel like home was perfect er heeft zelfs nog iemand van het personeel voor ons een restaurant geboekt voor 30 december waren n.l. met 8 volwassen en dan is het in Porto wel even zoeken. Płożenie w dogodnym miejscu Porto..blisko starego miasta jak i oceanu. Przystanek autobusu pod domem, metro kawałek dalej. Kuchnia wyposażona w niezbędny sprzęt, pokoje przestronne. Quartier bien desservi; supermarché et restaurants tout proches. Très beau jardin avec terrasse où il est agréable de prendre ses repas . Eine sehr schöne Wohnung. Die Metro ist nur 5 Min. entfernt. Einkaufmöglichkeiten so wie Gaststätten sind in der nähe. 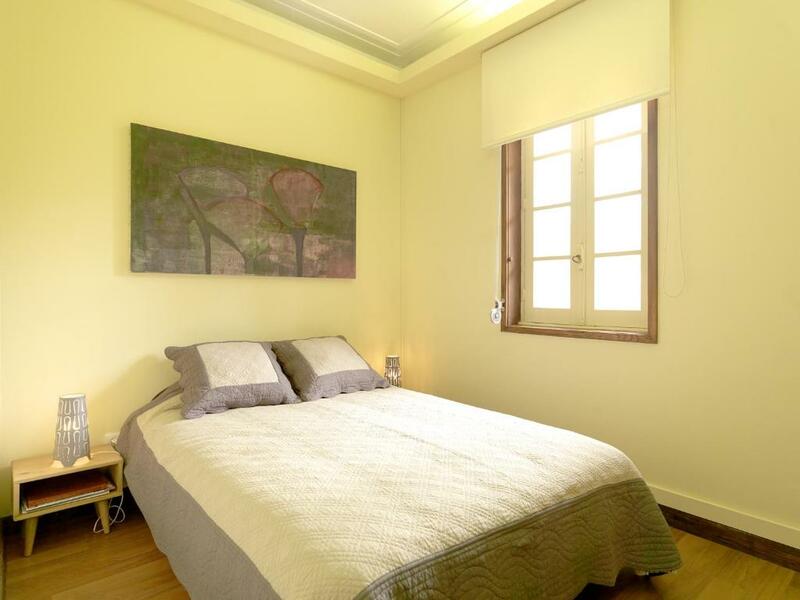 Located in Porto, within a few steps of Boavista Roundabout, Feels Like Home Boavista House of Music with Private Garden offers accommodations with free WiFi and air conditioning. This apartment provides accommodations with a patio. The apartment features 4 bedrooms, a kitchen with an oven, a washing machine, and a bathroom. A TV with cable channels is provided. 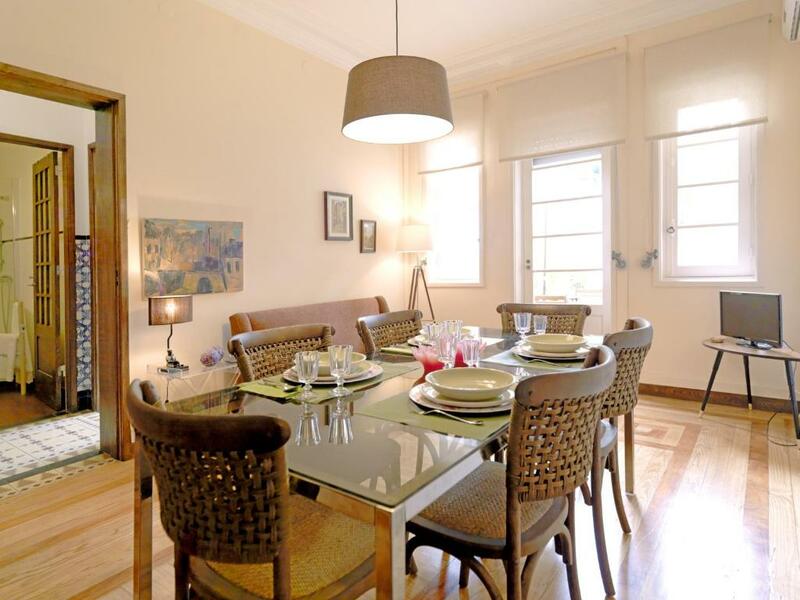 Music House is a 7-minute walk from Feels Like Home Boavista House of. Francisco Sá Carneiro Airport is 8 miles away. 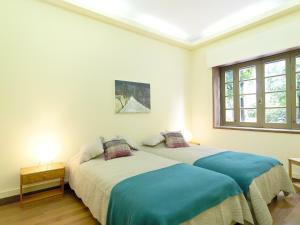 Lordelo do Ouro e Massarelos is a great choice for travelers interested in food, city trips and sightseeing. When would you like to stay at Feels Like Home Boavista House of Music with Private Garden? It is tastefully decorated, very comfortable and ready to welcome a family of eight people. 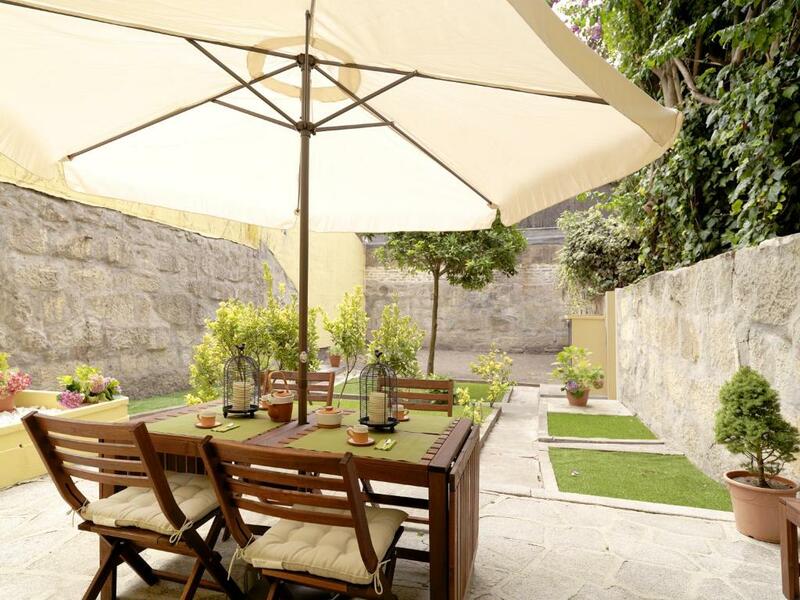 At the ground floor, you can find a very nice private garden, where you can relax and eat your meals. There are four bedrooms, one with a double bed and the others with two single beds each. 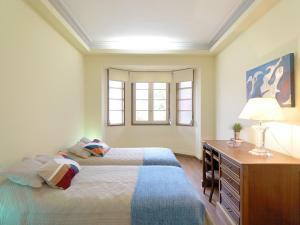 The apartment has a comfortable living room and an eating area, a fully equipped kitchen, 2 bathrooms and 2 lavatories. 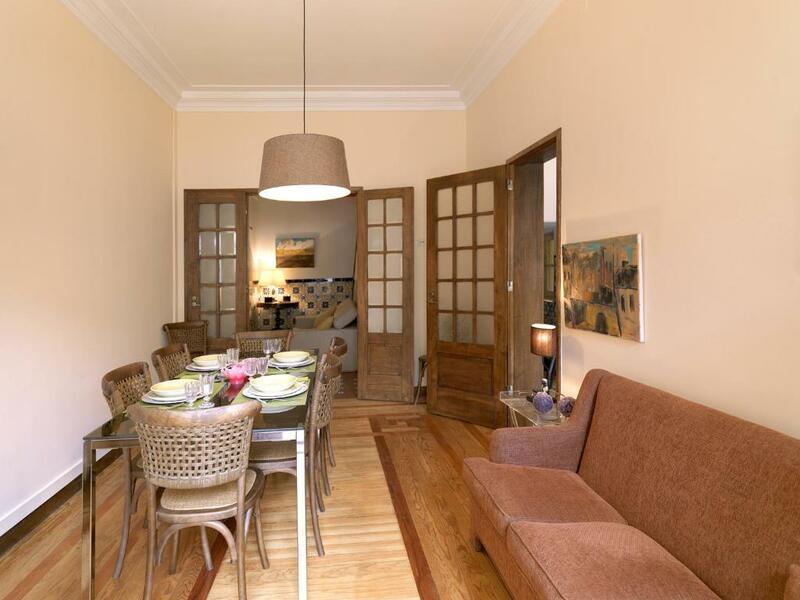 This house is very well located, at Boavista, one of the most central places of Oporto city: the shuttle to the airport Francisco Sá Carneiro, Bus Stop & Yellow Bus is right outside the front door; it is just 400mts from the metro station, 150mts from the Casa da Musica, 100mts Market Bom Sucesso (with Power Plaza "gourmet") and 3 shopping malls. Also only a 20 min walk from the city center. House Rules Feels Like Home Boavista House of Music with Private Garden takes special requests – add in the next step! Please note that check-in and key collection take place at: Rua dos Heróis e dos Mártires de Angola 51, Porto 4000-285. Down stairs toilet not flushing..everythink else was just perfect. 2 bedrooms almost unuseable. Very huge noise from the street, couldnt sleep with ear plugs. Not equiped well for offering price. Missing basics as tablets for dishwasher....also smell from restaurants nearby is very unplesant. (you cannot really seat outside in the garden). For quality&price not valuable.